In about five months’ time the South African Social Security Agency will have to brace itself to take over the payment of social grants to some 17-million vulnerable South Africans. 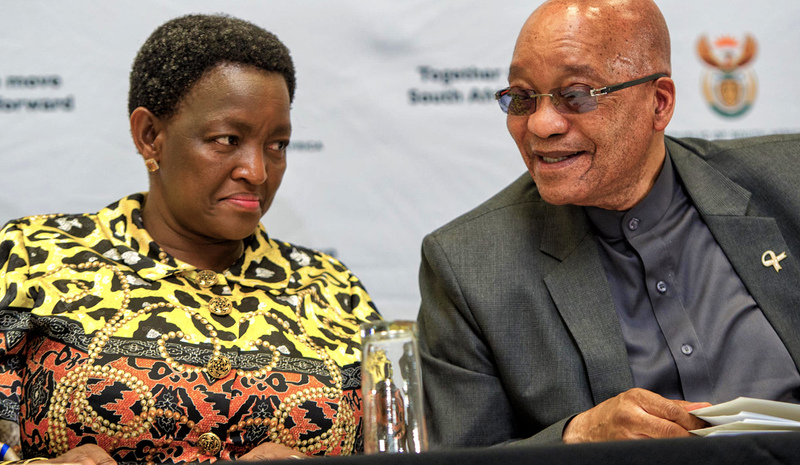 In March, Minster of Social Development Bathabile Dlamini and Sassa had to be dragged off to the Constitutional Court due to a self-inflicted emergency, in order to force the execution of their constitutional mandate. With the clock ticking, Dlamini and Sassa are once again displaying a disturbing nonchalance, if not downright contempt for the process. By MARIANNE THAMM. It was a small thing that slipped out almost unnoticed at Wednesday’s late-night Standing Committee on Public Accounts (Scopa) meeting with Sassa officials who were due to report back on progress and timelines for Sassa’s preparations to take over the payment of social grants at the end of March 2018 when the twice extended irregular contract with CPS comes to an end. The committee was probing the scathing criticism by a panel of experts and the Auditor-General, Kimi Makwetu – appointed by the ConCourt to oversee the delicate yet massive transition – that Sassa officials had simply ignored the panel’s requests for information and documents in order to monitor the process. So perturbed was the AG that he wrote that the tardiness and disregard by Sassa officials of repeated requests had resulted in “the demonstrable effect of preventing it [the panel] from fully reporting to the court”. The panel warned that the actions of Sassa were hampering the outcome of the process and placing it “at serious risk”. On Wednesday, in response to a question from a Scopa committee member as to why Sassa had failed to respond to repeated emails and phone calls from the panel Secretariat, Zodwa Mvulane, a key player as Sassa’s payment transition manager, passed the buck, blaming her underlings. It was they who had failed to communicate with the panel, Mvulane explained. Because Mvulane, shortly after meeting with the panel, had taken at least three weeks’ leave. Now, we are all tired and overworked. It has been a brutal and gruelling year. And yes, Mvulane is entitled to all the benefits and trimmings that come with a high-powered government job that comes with its generous pay package. But her decision, as the payment transition project leader, to take leave at this critical juncture in a deeply flawed and problematic process that will affect the lives of millions in just five months personifies a peculiar type of attitude among many government officials who appear to feel secure in the comfort of a permanent job. Mvulane casually told Scopa that she had gone on leave and on her return had learnt that her officials had done nothing to comply with numerous emails and calls from the panel’s worried Secretariat. But we should not be surprised perhaps, or even shocked. Batho Pele, “People First” has, since it was first introduced by Nelson Mandela as the motto for the public service, become an empty, hollowed out, meaningless slogan. Minister Dlamini herself has shown utter contempt as the political head. Even around this ANC policy showcase – the social security network that sustains (only barely) the lives of the country’s poorest citizens. She has simply failed to attend several committee meetings to report back. She didn’t pitch on Wednesday, opting to go on an “active ageing week” in KZN. Dlamini will have her day in court in January when she will have to explain and unpack her direct role in the unfolding Sassa debacle in March this year and why she should not be held personally responsible for the massive legal costs. It was the Black Sash and Freedom Under Law who took the minister and Sassa to court to force the agency and the minister to execute their constitutional mandates. Yet despite this traumatic, self-made and costly crisis, Sassa and the minister appear unfazed and persist in displaying an attitude that can best be described as contemptuous and detached – as if they know something the rest of us don’t. Sassa has incurred about R1.4-billion in irregular expenditure and manages, each time it appears at Scopa, to slither out of answering because some new crisis eclipses the matter. The agency currently has an acting CEO, Pearl Bhengu, after former CEO Thokozani Magwaza was forced to resign after clashing with Dlamini. So concerned was the panel of experts that in their report to the ConCourt they recommended that Sassa obtain “on an urgent basis” a Government Technical Advisory Centre or any other “reputable project management office” to assist Sassa’s Exco and the project team (led by Mvulane) in managing the transition. The panel also wanted the head of the project management office to file monthly reports with the court on progress achieved as measured against the implementation plan as well as any reasons for failure to do so. So, the panel has so little faith in Mvulane that they want a project management office to oversee her work. And still she takes leave unperturbed by how her performance as a senior official tasked with the well-being of others will be judged. She behaves like an official who feels politically protected. The panel also recommended that the ConCourt considered directing CPS to provide the panel with its audited financial statements and detailed management accounts of the five-year period ending March 2018. This way the opaque deal with Sassa might become more evident. December will be a busy month for the country’s political manipulators. There is an elective conference, there are the year-end holidays. There are the usual closure of offices and departments and that extra bit of time off not covered by the annual leave that officials like Mvulane enjoy.